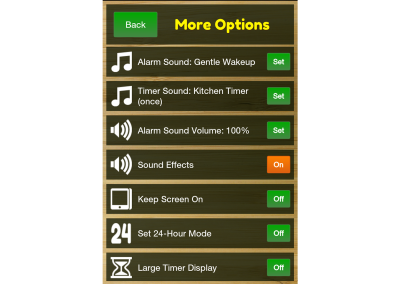 The options button panel appears when you tap the gear icon. 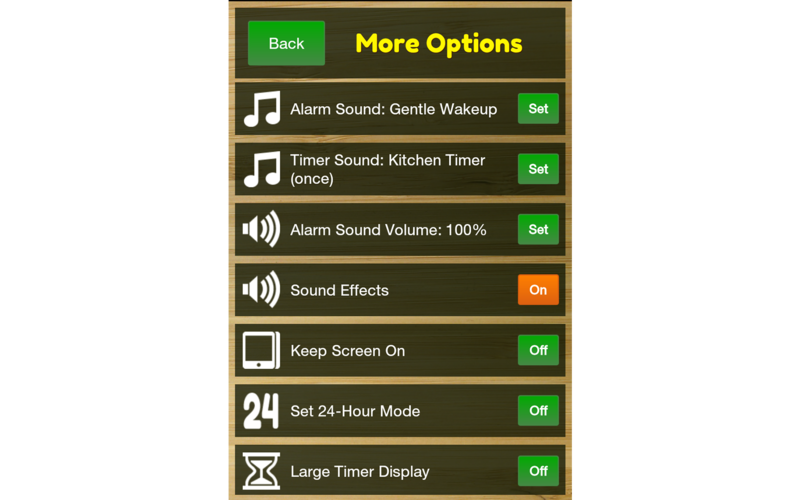 Here’s where you set up sounds and other options. Night mode fades in when the user taps the sun/moon icon. 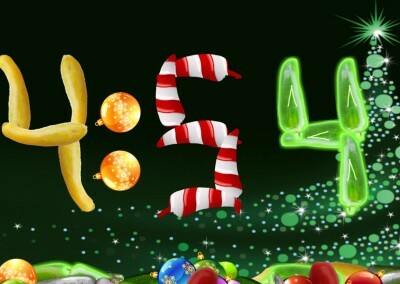 Christmas decorations are only available in late November and December. 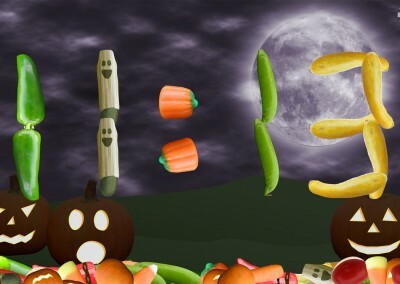 Halloween decorations are only available in October. 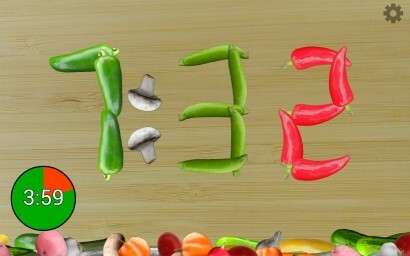 Extensive help for the various settings. This is also where “tell a friend” and customer messages live. 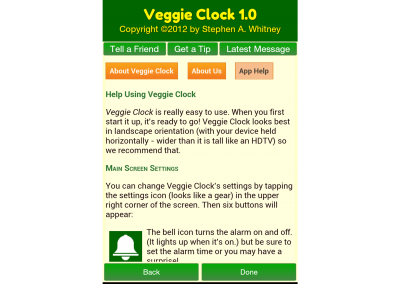 Veggie Clock was an interactive, animated clock, alarm and timer app. 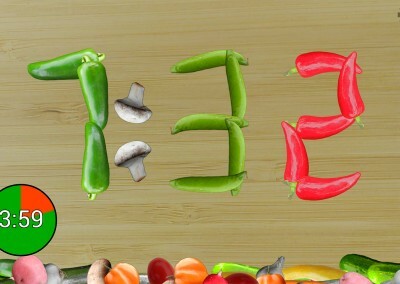 A variety of vegetables move to form the time, react to user’s taps and drags, and sometimes even move on their own. 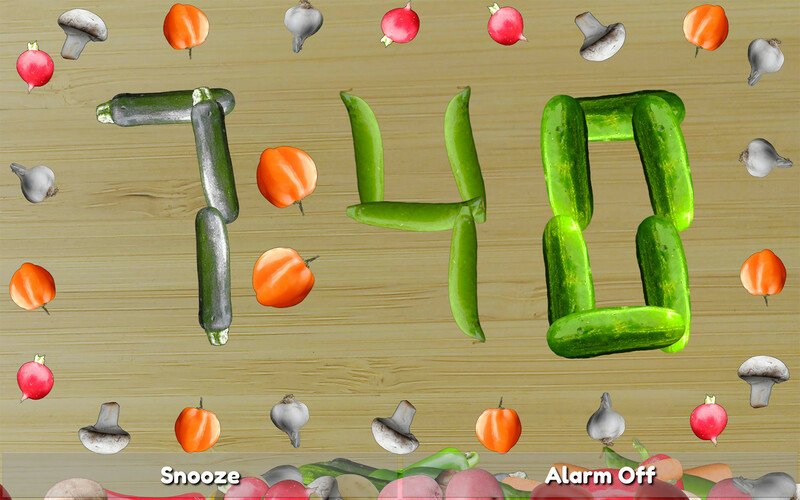 They make fun sounds when tapped and there is a veggie song available in the alarm sounds that accompanies a lively animation when the alarm goes off. 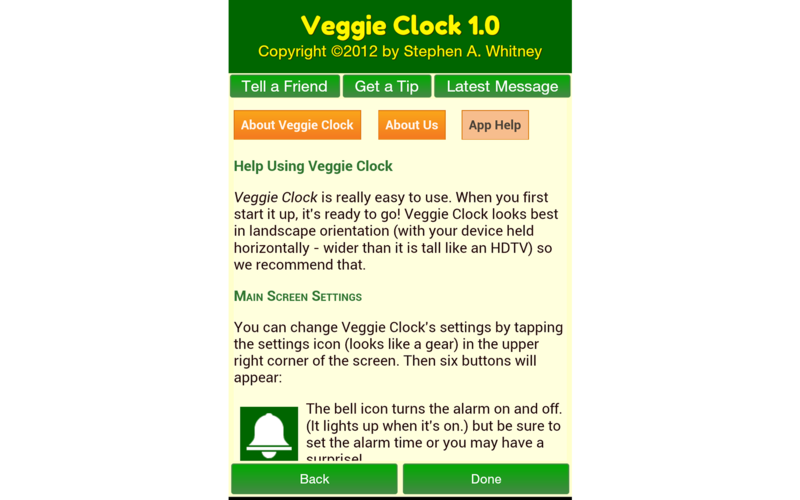 Veggie clock also included a visual “wedge” timer that’s great for kids’ tasks. 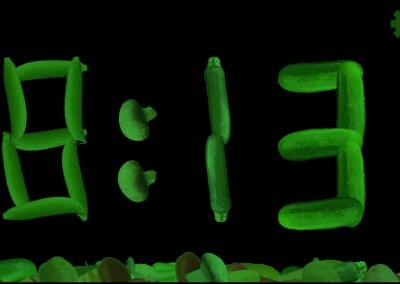 It had extras like night mode, Halloween and Christmas decorations. 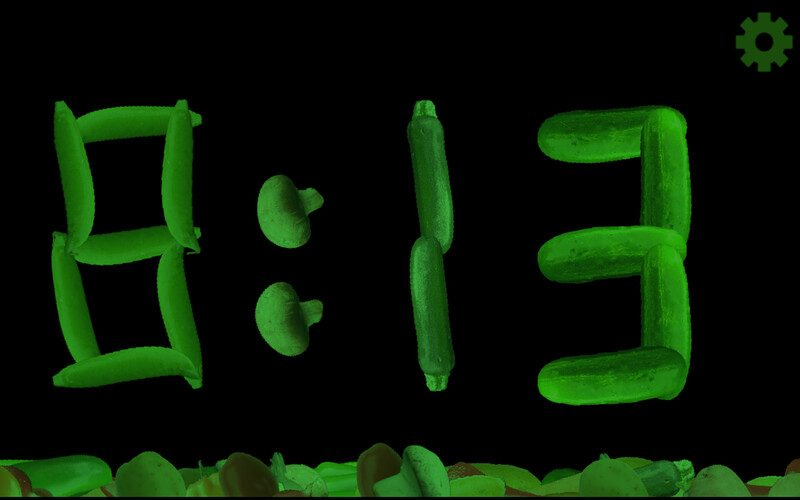 I spent way too much time debugging the animation engine. 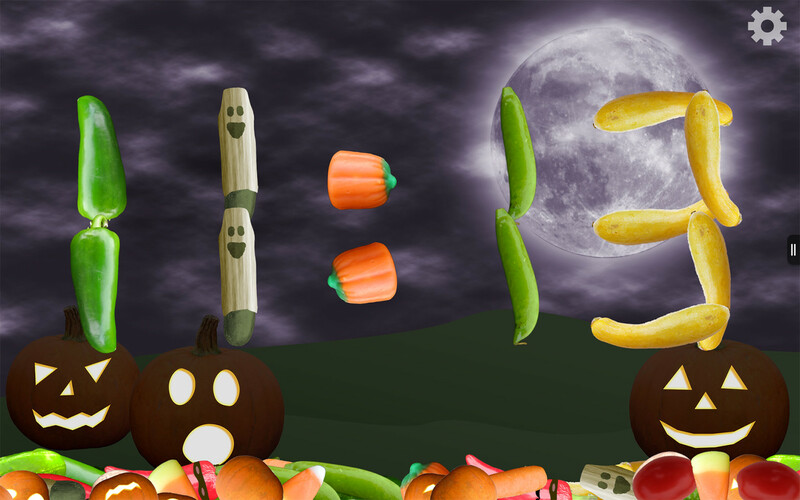 In future projects, I used existing engines like Cocos2D, Sprite Kit, and ultimately the Unity game engine which gave my multiple platforms from a single project. I learned that apps need to stay in their categories. 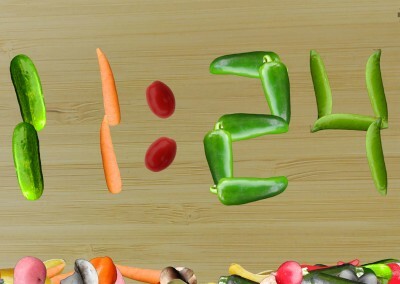 I joked that Veggie Clock was a “jackelope,” a mythical midwestern combination of jackrabbit and antelope. 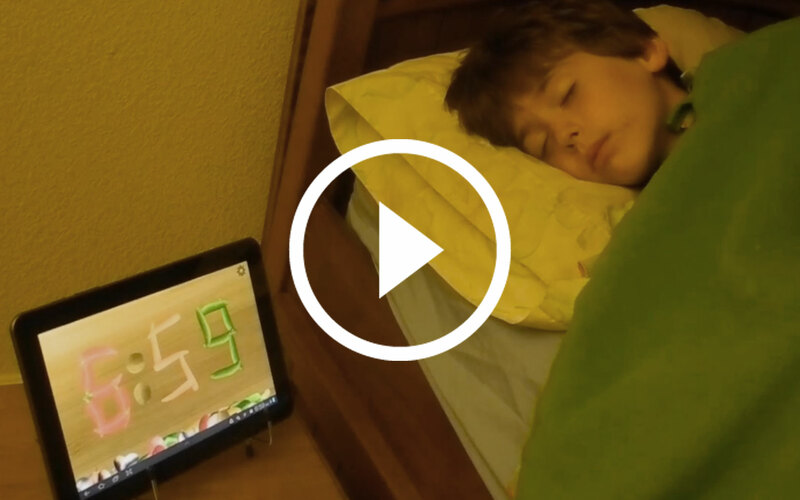 People looking for a clock weren’t looking for an interactive toy. 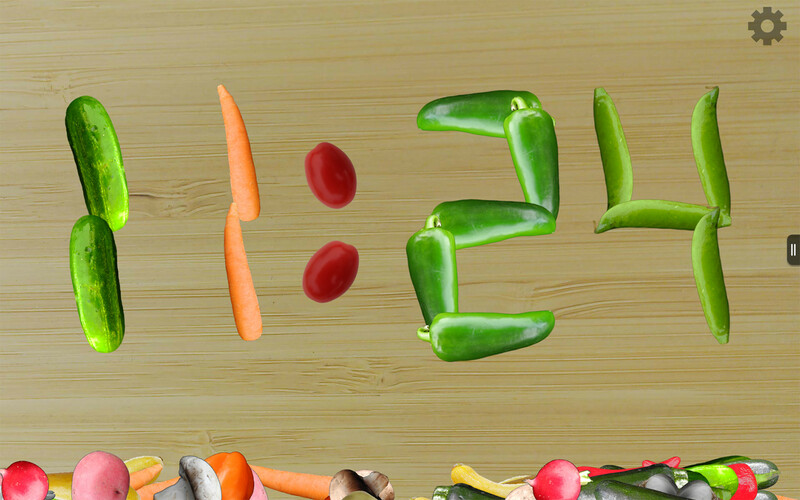 People looking for a novelty app didn’t want it to be a clock. 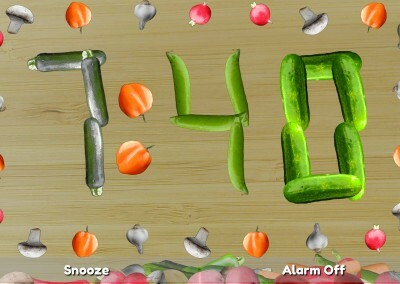 Watch the Veggie Clock Promo Video on YouTube. 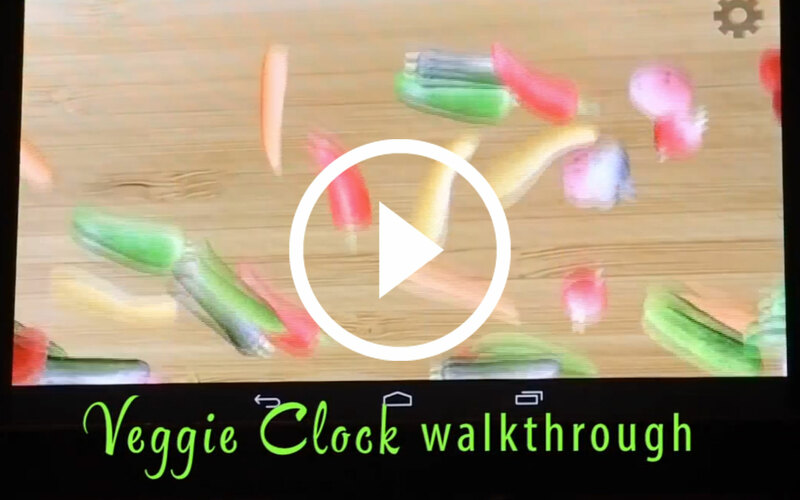 Watch the Veggie Clock app walkthrough video on YouTube.